Today, Christie’s will offer the first two works to appear at auction by Khadija Saye, the young artist who died in the Grenfell Tower fire in west London last year. Profits from the sale will go towards setting up the Khadija Saye IntoArts Programme, an arts education scheme that will launch in early 2019, run by IntoUniversity, a UK charity that provides learning centres for young people from disadvantaged backgrounds and which nurtured Saye’s interest in photography. 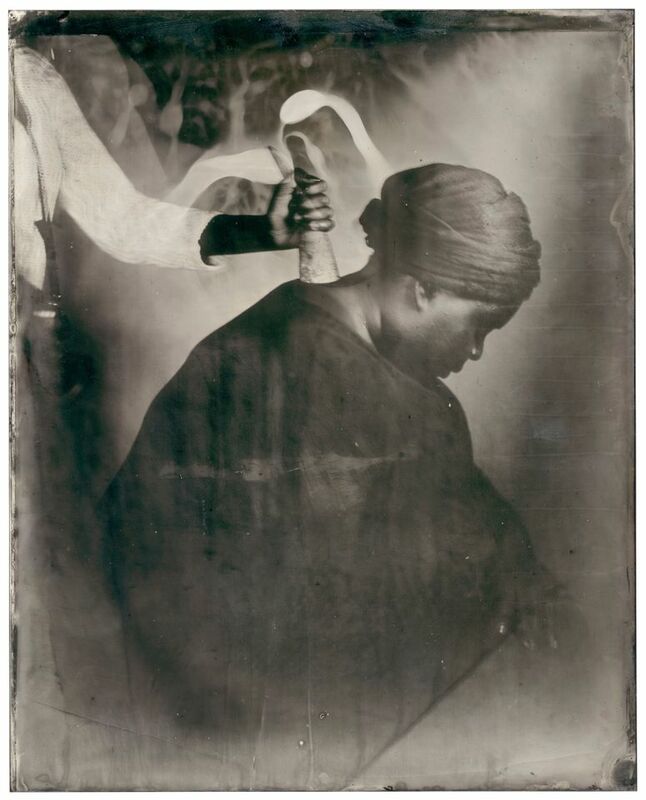 Nak Bejjen (2017), an wet collodion tintype, is one of the six works that were exhibited in the Diaspora Pavilion at the Venice Biennale last year; the remaining three from the series Dwelling: in this space we breathe were destroyed in Grenfell. Consigned by the artist’s estate, it is estimated at £10,000 to £15,000. The second lot, estimated at £7,000 to £10,000, is a portfolio box of nine silkscreen prints of the entire Dwelling series. “Khadija had taken scans of the tintypes that were destroyed, which we were able to recover, so we have made the silkscreens from them,” says the artist Nicola Green, who organised the Diaspora Pavilion and employed Saye as a studio assistant after meeting her in 2014. Produced in collaboration with Jealous Gallery and Saye’s estate, the remaining 49 portfolio boxes from the series will be available for sale later this year or in early 2019 through a gallery that has yet to be announced.